The handling of the water release from the dam was perhaps one of the best in recent history. KOCHI: The rain has subsided. The water level in Idukki dam has started dipping. After three days of panic and anxiety, the water has started retreating at Aluva as well. Around 10,000 people have been shifted to downstream relief camps. No life is lost but many houses got damaged. 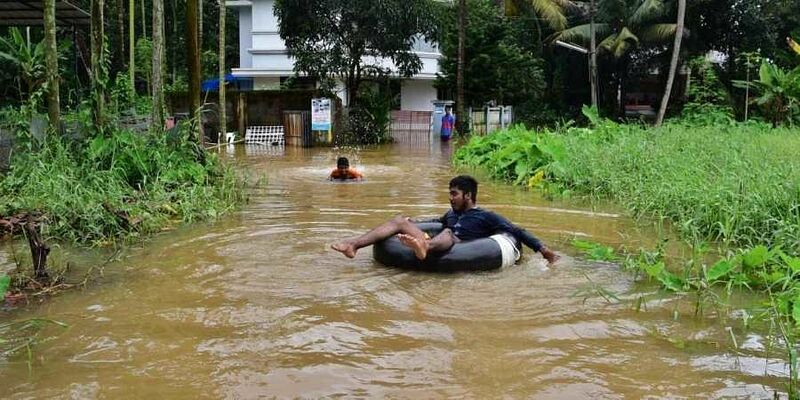 The crisis is over, but the threat of another flash flood looms large as the Met Department has predicted heavy rains in the next couple of days. But the opening of 22 dams on a single day leading to flash flood has triggered a debate. Did the Kerala State Electricity Board (KSEB) delay the release of water from Idukki dam until the eleventh hour hoping for nature's mercy? While the Board claim they were well prepared and everything went as per the plan, activists allege lack of a proper coordinated approach in an era where satellite map and remote sensing tools are available to gauge the aggregate impact led to the crisis. They say it was the Board's greed to generate maximum electricity that put the lives of thousands living on the banks of Periyar in danger. "The water was released in five phases and the situation was reviewed before increasing the outflow from Idukki each time. We had intimated the district administration and chalked out a plan in coordination with the Disaster Management team. We didn't waste water and averted a crisis," KSEB Chairman and MD N S Pillai told Express. KSEB Chairman and Managing Director N S Pillai said it was the torrential rain on August 8, 9 and 10 that aggravated the crisis. “We had decided to conduct the trial run a week ago. But as the rain subsided, we decided to wait. Our generators were running at maximum capacity. “Unexpectedly, the water level at Idamalayar crossed the Full Reservoir Level (FRL). We released 600 cumecs of water from Idamalayar. Meanwhile, the water level at Idukki crossed 2,400 feet. It was a consolidated effort. We decreased the water release from Idamalayar while increasing the outflow from Idukki. The total discharge was 1,050 cumecs. Though people feared the water will rise by two metres, the actual rise in water level was less than one metre,” he said. United Nations Environment Programme (UNEP) Disaster Management Chief Muralee Thummarukudy said globally, all the reservoir and dam managers are against wasting water. “They tend to hold the water till the situation become alarming, affecting the stability of the dam. In Kerala, if the water was released from Idukki Dam in small quantities right from the moment the level was inching towards maximum capacity, things wouldn’t have been this worse,” said Thummarukudy. Dismissing KSEB’s claims, activist C R Neelakandan said it was conflict of interest that led to the crisis which could have been averted. “The purpose of the dams are power generation, irrigation, potable water, flood management and dam safety. The KSEB gave priority to saving maximum water for power generation and ignored the important purpose of flood management. Had the rain lasted for one more day, it would’ve led to a disaster. They could’ve started releasing water a week ago. Similarly, had they released more water from Idamalayar and Neriyamangalam, they could have averted flooding in downstream areas,” he said. Kerala Dam Safety Authority chairman V N Ramachandran Nair said the KSEB has managed the crisis well. “I had visited the dam one week ago and reviewed the situation. The KSEB maintained a balance between the release of water from Idukki and Idamalayar. This approach helped avert a crisis. We received 40 cm rain within three days. That was the highest in 50 years. Still there was no loss of life and we averted a situation where the operations of CIAL could be affected,” he said. Everything was under control until KSEB intervened, said N K Premachandran MP. “Initially Minister Mathew T Thomas was in control of the situation. But later KSEB intervened and they delayed the decision to release water with an aim to save maximum water. If the rain did not subside on Friday, it would’ve ended in a disaster. There was no professional management,” he said.